Settled in the beautiful town near Charlotte just southeast of Lake Norman is Huntersville. In the heart of this city lies the Carillon Assisted Living of Huntersville where On Q’s very own Barbara Buchacker volunteers. Its location is fitting for this heartwarming work. For over a year and a half, Barbara has been donating her time and love of painting to the residents at Carillon Assisted Living in Huntersville, North Carolina. This is an assisted living home community for seniors. Carillon Assisted Living in Huntersville has, “the most highly regarded Alzheimer’s care program in the state,” in North Carolina! Like On Q this community strives to exceed the expectations of their customers. 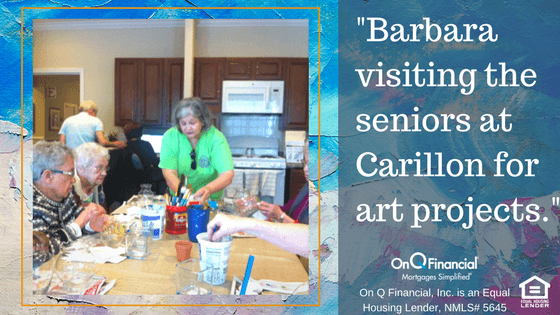 Twice a month, Barbara visits the seniors at Carillon for art projects. The main goals are to create a fun and rewarding experience. She says she has a “heart for seniors.” One of her best moments as a volunteer has been watching a resident blossom from a skeptical artist to a passionate one. Barbara Buchacker, a Transaction Coordinator in On Q’s Charlotte office, is showing her community how On Q Gives Back. Barbara is part of a team in Charlotte that focuses on Reverse Mortgages. Her connection to the seniors is both personally rewarding, and reflects a special way she can reach out to her team’s demographic. 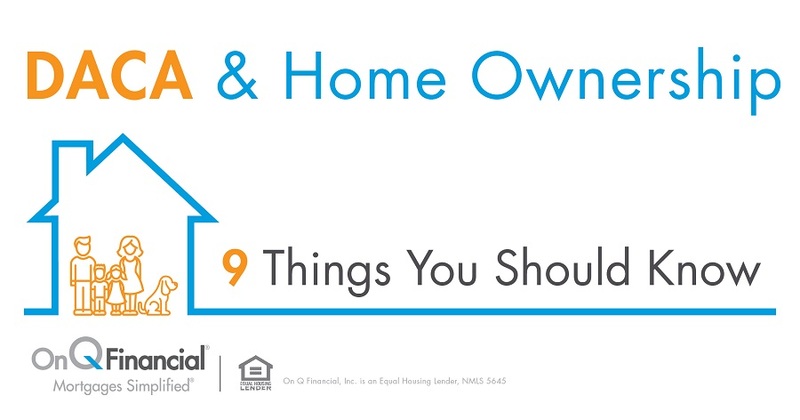 Barbara’s work with seniors provides her with a better connection to the needs of older adults and highlighting where her talents can make the mortgage process easier for them. From your On Q Family, thank you, Barbara! We are excited about you making a difference in your community! As well as spreading the On Q culture of giving back. On Q Financial believes in doing good in our communities near and far. It is an essential part of our culture. We donate to local and national charities. Or participate in local events like the Phoenix Heart Walk. This past season On Q did not have a Holiday Party, instead we donated those funds to a worthy cause. Simply, On Q gives back.